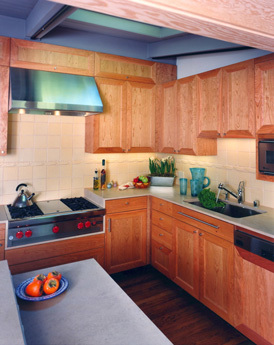 This is the Greene house in Berkeley, a remodel of a 1970’s cluttered kitchen and bath. It features custom designed cabinet heights, natural limestone countertops and custom tile design. Contractor Stephen Swan and cabinetmaker Peter Witte.